CDW Tax Services is a locally owned and operated, IRS Certified tax preparer in Temple, TX. We hope that this site will help you learn more about our company and find information concerning your taxes. 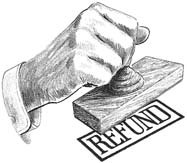 We prepare personal, business and corporate tax returns as well as state tax returns. Tax returns are prepared for as little as $18.00.